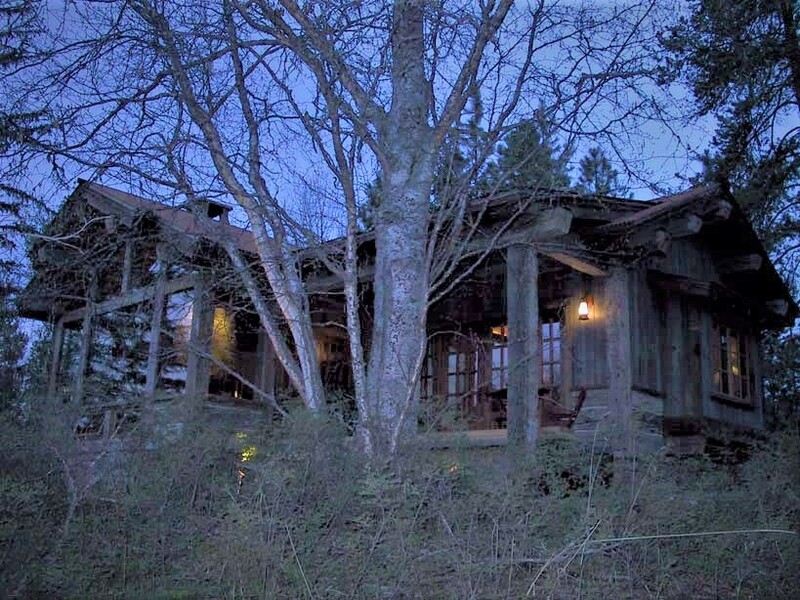 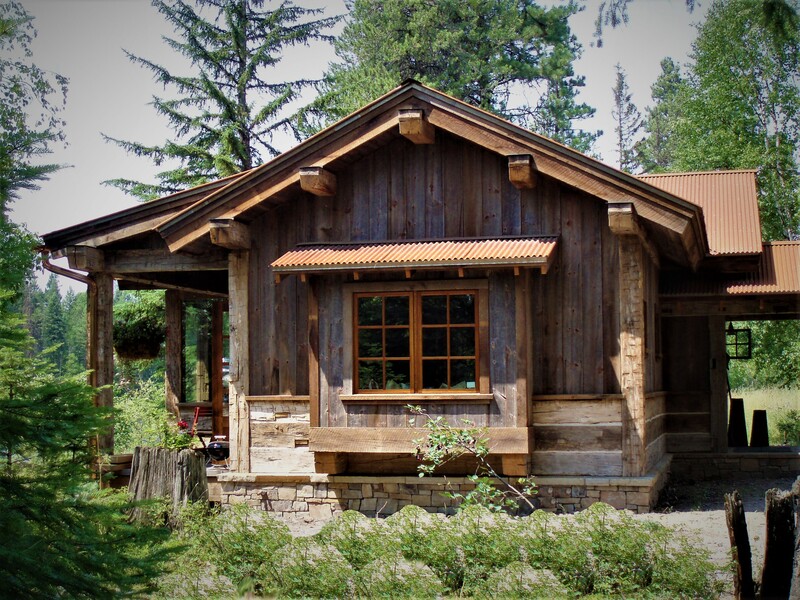 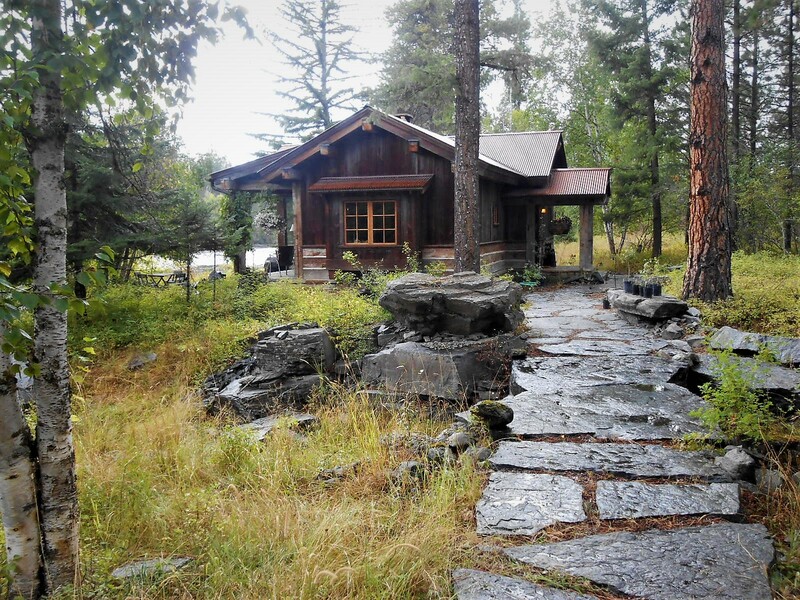 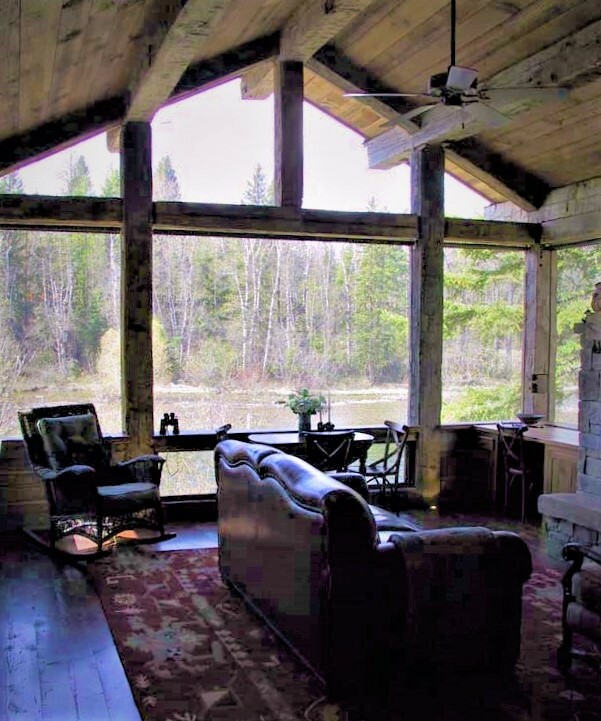 Completely built of reclaimed materials, this 1-bedroom cabin is nestled into the banks of the Swan River. 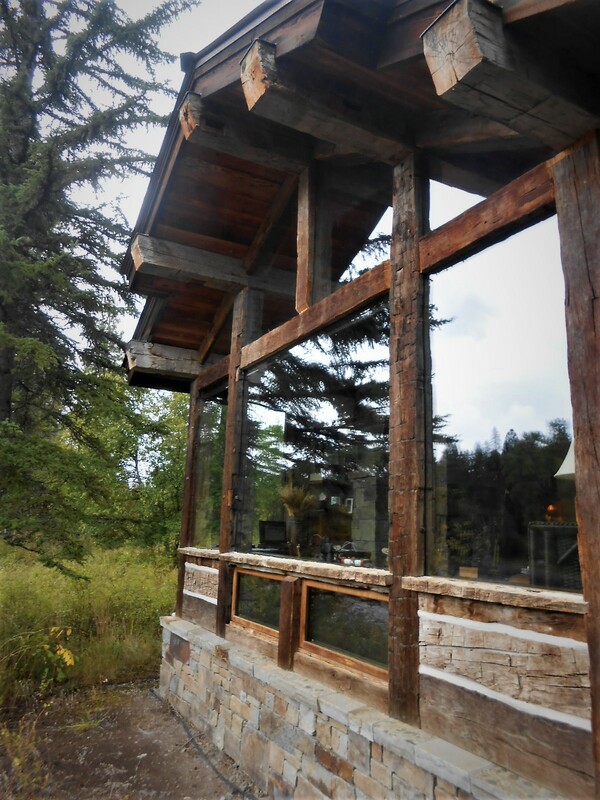 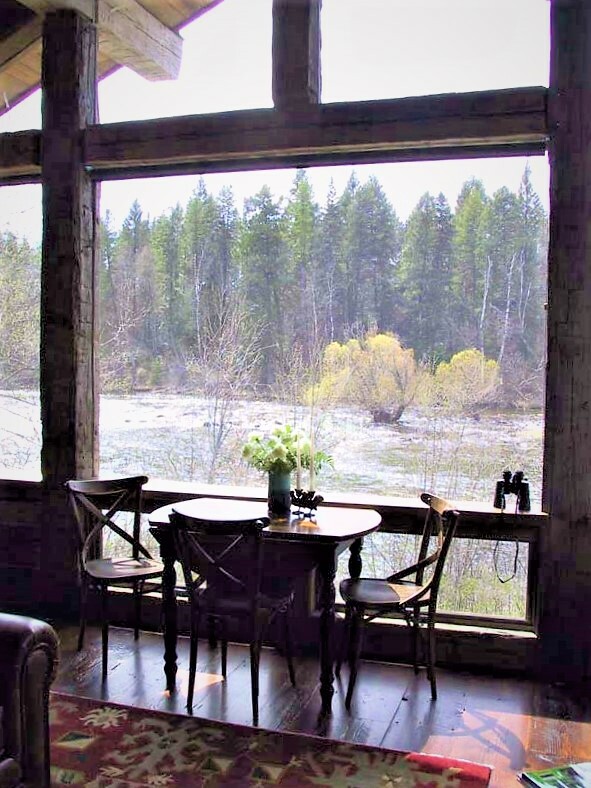 Old barn timbers and frameless glass enhance the river and forest view. 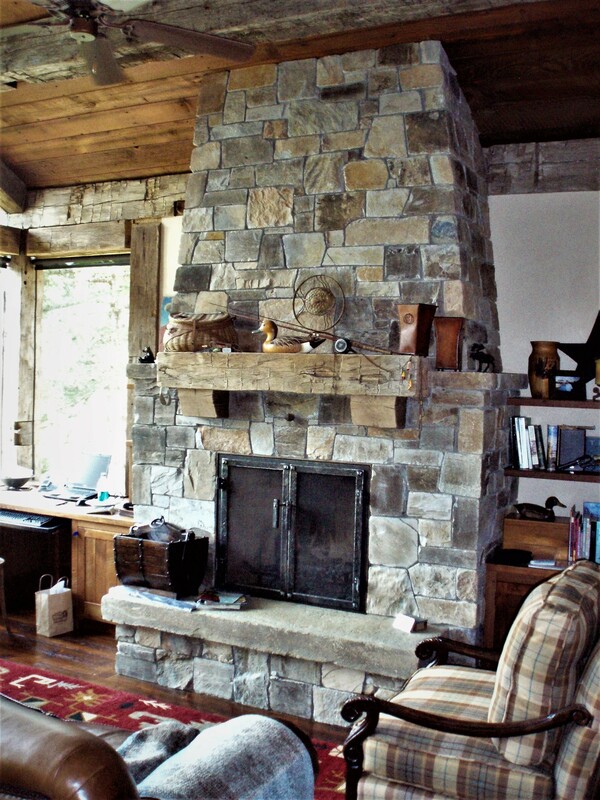 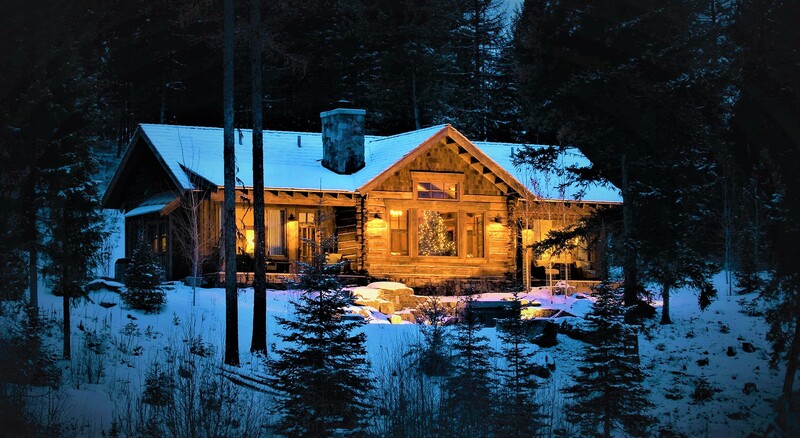 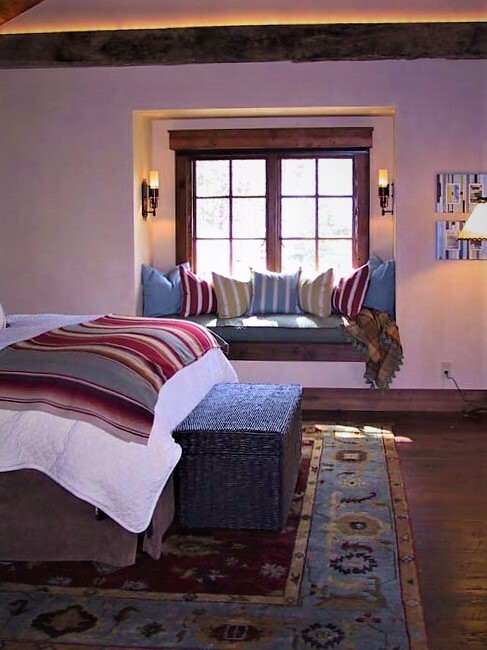 The massive stone fireplace and raised hearth is flanked by custom built-in woodworking, and creates a warm Montana feel.